China-based Da-Jiang Innovations (DJI), one of the world’s largest drone makers, has accused a researcher of accessing sensitive information without authorization after the expert bashed the company’s bug bounty program. DJI announced the launch of a bug bounty program in late August and offered between $100 and $30,000 for vulnerabilities that allow the creation of backdoors, and ones that expose sensitive customer information, source code or encryption keys. Bug bounty hunters started analyzing the company’s systems for vulnerabilities, but didn’t know exactly where to look for them as DJI had failed to clarify exactly which of its assets were in scope. Kevin Finisterre, a security researcher who specializes in drones, discovered that DJI had inadvertently made public SSL and firmware AES keys in source code published on GitHub. He also found keys for AWS buckets storing flight logs and customer identity documents, including passports, driver’s licenses, and state identification. Finisterre said others had found unprotected AWS buckets storing, among other things, personal data and images of damaged drones submitted by customers. After reporting his findings to DJI via its bug bounty program, Finisterre was informed that he qualified for the maximum reward, $30,000. However, the company told him that in order to receive the bug bounty, he would have to sign an agreement. While the researcher was trying to negotiate the non-disclosure agreement (NDA) via a DJI representative in the United States, the drone manufacturer’s legal department in China sent him a notice that he may be facing charges under the controversial Computer Fraud and Abuse Act (CFAA). After consulting with lawyers who told him that DJI’s agreement was “extremely risky” and “likely crafted in bad faith to silence anyone that signed it,” the researcher decided to walk away from the bug bounty. He also decided to make his findings public, including some of the communications with DJI representatives during this process. In response, DJI published a statement saying that it’s investigating Finisterre’s unauthorized access to its servers, and accused the researcher of publishing confidential communications with DJI employees. The infosec community is split on this issue – some have taken Finisterre’s side pointing to DJI’s failure to specify exactly what its bug bounty covered and what researchers were allowed to do. Others, however, have sided with DJI, noting that the bounty hunter shouldn’t have accessed the data and that the agreement was reasonable. 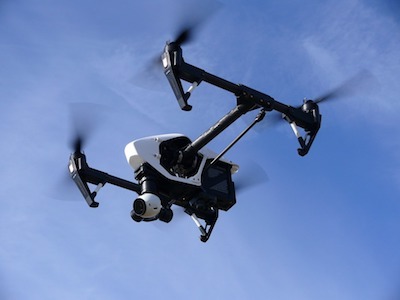 Following Finisterre’s disclosure, DJI provided more information on its bug bounty program, including scope and requirements for disclosing flaws. DJI says it has paid out “thousands of dollars” to nearly a dozen researchers since the launch of its bug bounty program.